One of the judges of Dink murder case remarked on the murder during a trial: “Think about a book. You know what will happen in the end, the moment you start to read it.” It is the exact definition of the process leading Hrant Dink to death. Prime Minister Recep Tayyip Erdoğan once said, “No murder will be lost in the dark tunnels of Ankara.” We don’t know if the murder of Hrant Dink will be lost in those tunnels, but it is certain that the murder was a product of those very tunnels. Turkey’s recent history is full of political murders and the endless cases of those murders. 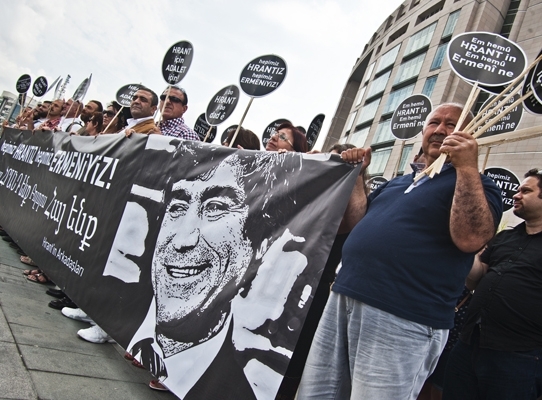 The course of Hrant Dink murder case is a bit different than other cases of political murders. The prosecution process started after the murder had intensified the concerns that this case will also be turned into an endless one. The upheavals in the political atmosphere of Turkey and the fractures caused by these upheavals postponed the concerns about the fate of Dink case for a while. Today, some public officials who have a hand in the murder or acted negligently are standing trial. Some soldiers assisting the murder have been arrested a while ago. On the other hand, we still don’t know who ordered this murder, since some institutions like Intelligence Agency of Turkey (MİT) and some figures who made Dink a target are not standing trial yet. Thus, our concerns about Dink case continues, though they are postponed a bit. The prosecution process started after the murder was proceeding like any other case of political murder in the history of Turkey. In the first five years, the investigation hadn’t been extended; there were just a couple of hitmen. Though there were some traces pointing to public officials; gendarmerie, MİT and police officers had been tried to excluded from the investigation whenever it was possible. Starting from the very first hearing, lawyers of Dink family had been demanding an effective investigation against gendarmerie. However, their demand wasn’t taken into consideration. There was not a single substantial proceeding in the investigation file. Meanwhile, the fight between the government and Fethullah Gülen circle hadn’t been started yet. 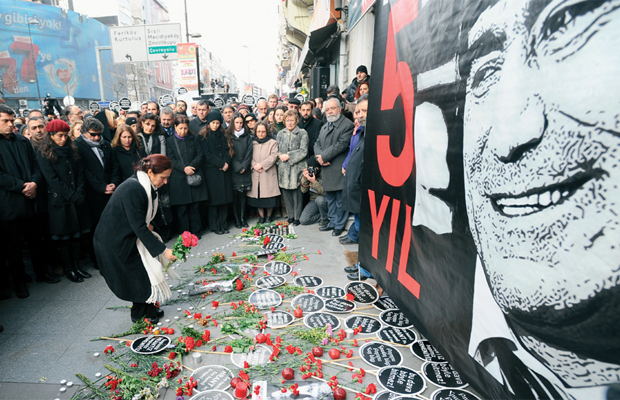 It is known that Hrant Dink had been engaged in leftist political movements in Turkey long before he founded Agos. Probably, the state had been keeping a watch on him, just as it does with any person who was engaged in such movements. After years, while the trials of Dink murder continues, arrested former police chief Ali Fuat Yılmazer said that they had been watching Dink since ‘70s. While Agos’ modest publication life was going on, Dink was writing a column in the newspaper. The first death threat was entered in the state records on January 2003. An advice letter was claiming that Dink, who was about to go to Sydney, was going to be assassinated. 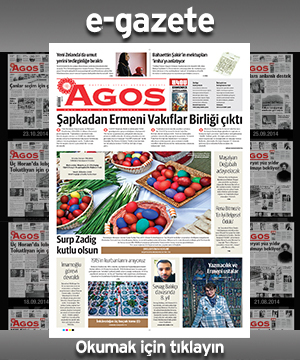 Hrant Dink’s article series titled “Armenian Identity”, which became an excuse for targeting Dink, was started to be published in Agos on November 7, 2003. 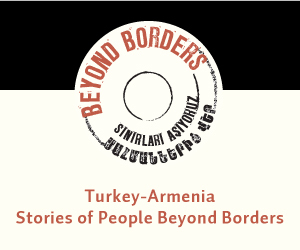 Though any period of Turkey is hard for Armenians, life in Turkey becomes even harder when the parliament of a European country starts to discuss the Armenian Genocide. 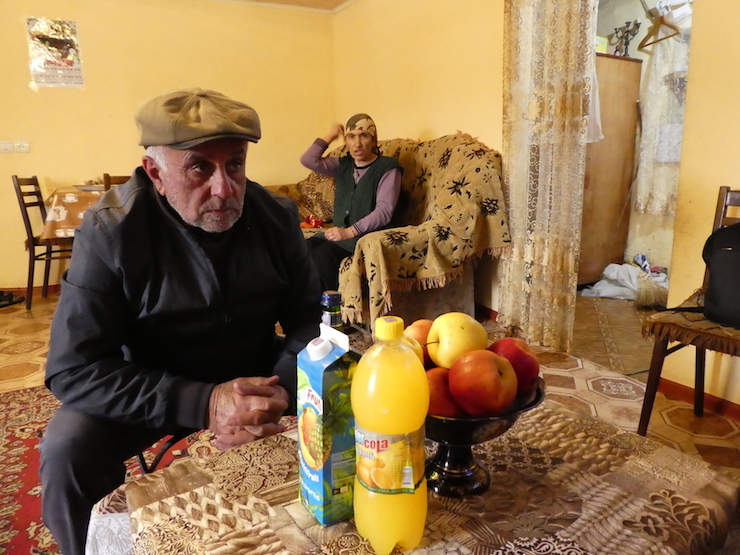 Hate speech against Armenians became increasingly more frequent starting from 2003, leading to demand for protection. 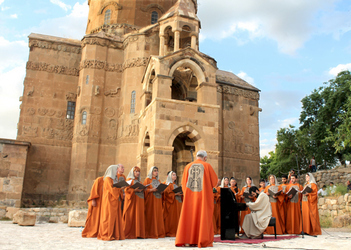 On January 2004, Patriarch of Armenians of Turkey Mesrob Mutafyan applied to Istanbul Governor’s Office and asked for protection for Armenian institutions. 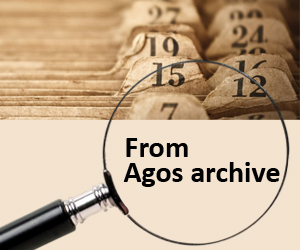 Two days after this application, Hrant Dink’s column titled “Getting Rid of Turks” was published in Agos. Complaints had been filed against Dink one after the other in various places in Turkey. Meanwhile, there were some demonstrations in front of Agos, where people carried posters that read “Dink is the target of our rage and hate.” On March 30, 2004, Minister of Justice Cemil Çiçek gave permission for an investigation against Dink; the case was launched and trial was started. Protests against Dink started in front of the courthouse and Dink was attacked in the courthouse. Lawyer Kemal Kerinçsiz, a suspect in Ergenekon case, demanded to be an intervening party in Dink’s case. Retired Gendarmerie Brigadier General Veli Küçük, who was also a suspect in Ergenekon case, attended a hearing and demanded to be an intervening party as well. Another case was launched against Dink, because he wrote a story about the investigation against him. Then, another case came because of his interview to Reuters. On October 2006, Patriarch of Armenians of Turkey Mesrob Mutafyan applied to Istanbul Governor’s Office once again, asking for protection for Armenian institutions. While Dink was occupying the public agenda, the information that Yasin Hayal, who carried out the McDonald's bombing in Trabzon, was carrying a grudge against Armenians and planning to carry an action in Istanbul was recorded by Intelligence Branch on October 2005. The information was from Erhan Tuncel, who was working as a police informant in Trabzon. As of January 2006, Intelligence Branch personnel knew that Hayal was in contact with people from a crime syndicate and looking for TNT. On February 5, 2006, Priest Andrea Santoro living in Trabzon was killed in the church he was working. 10 days after this murder, on February 15, 2006, Trabzon Intelligence Branch personnel had already recorded this information: “Yasin Hayal will go to Istanbul and kill Hrant Dink at all costs.” This information was sent to Directorate of Intelligence of Ankara and Intelligence Branch of Istanbul General Directorate of Security. After this information was received, Erhan Tuncel, who was the informant providing information from Yasin Hayal, was dismissed. Trabzon Intelligence Branch reported that “Yasin Hayal hasn’t changed his mind about murdering Hrant Dink”. In the same report, it was stated that Hayal stopped using phone, since he was aware that he was wiretapped. 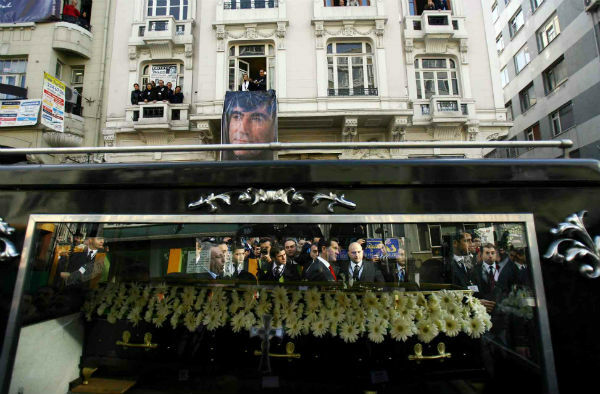 Hrant Dink was murdered on January 19, 2007. 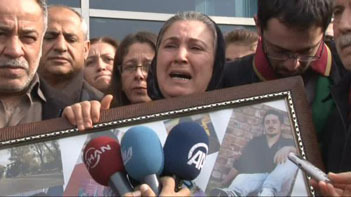 The first prosecution process related to Dink murder started on April 2007. There were 18 suspects of the case which was tried in 14th High Penal Court of Istanbul. The first hearing was held on July 2, 2007. Almost 500 lawyers applied for representing Dink family. In the first hearing, police informant Erhan Tuncel stated that he had informed the intelligence personnel about the murder. In the second hearing, the reports Erhan Tuncel mentioned was received by the court. Starting from the second hearing, it has been known that Veysel Şahin, an officer from Trabzon Gendarmerie Intelligence Branch, was one of the most important names in the investigation, which still continues today. Şahin was arrested 9 years after the murder. While the trial was continuing, lawyers of Dink family started to apply for prosecution of public officials from Istanbul and Trabzon, including Celalettin Cerrah. Trabzon and Istanbul governor’s offices hadn’t permitted investigation and refused the objections of the lawyers of district administrative courts. The court addressed questions to Istanbul Governor’s Office about the meeting with Hrant Dink. For a long time, the governor’s office didn’t answer those questions. After years, MİT informed the investigating authorities about the meeting; it was reported that MİT District Chief Özer Yılmaz and MİT official Handan Selçuk attended that meeting. Özer Yılmaz, in his statement to the prosecutor, stated that they met with Dink upon the order of MİT undersecretary Şenkal Atasagun. On October 8, 2007, the prosecution imposed a confidentiality order on the investigation file. After this order, lawyers of Dink family had no longer access to the file. After the murder, hitman Ogün Samast’s photo with police officers in Samsun with a Turkish flag was revealed and caused widespread debate. On October 30, 2007, a lawsuit was launched against the officer who treated Samast like a hero in Samsun. Meanwhile, Trabzon Chief Public Prosecutor’s Office launched an investigation against Trabzon Gendarmerie personnel, including Gendarmerie Regiment Commander Ali Öz. It took 9 years to arrest Öz and the other officers. Lawyers of Dink family submitted petitions to Istanbul 14th High Penal Court and Chief Public Prosecutor’s Office for joining the trials and investigation in Trabzon and Samsun with the main case. All petitions had been refused. It took 9 years to join all the investigations. Talking about the trials in 14th High Penal Court, Lawyer Fethiye Çetin said, “They mocked us.” Throughout the trials, defence lawyers insulted Hrant Dink and Dink family. Fuat Turgut, who later became a suspect of Ergenekon case, was dismissed from the court because of his behaviors. While the trials were continuing, State Supervisory Council, Prime Ministry Inspectors and Ministry of Interior Inspectors carried out an enquiry on public officials; they decided that an investigation should be launched against some public officials. Some of these inspectors are currently under arrest. Starting from October 2008, officers from Trabzon Directorate of Security Intelligence Branch were started to be heard as witnesses in the court. Those officers claimed that “there was no concrete intelligence report or activity concerning the murder of Hrant Dink.” Now, the same police officers are tried as suspects. Officials from Istanbul Directorate of Security were excluded from investigation and prosecution processes. Lawyers of Dink family requested police officers from Istanbul Directorate of Security and Police Intelligence Department are heard as witnesses. This request was refused by the court. It took 9 years for those police officers to stand trial. During 25 hearings, all requests for bringing the public officials to the court had been refused. Reluctance of the judicial authorities, combined with the resistance of governmental offices and bureaucracy, a pseudo-prosecution, which was not effective and extensive, had been carried out. In this process, each institution played the parts that were assigned to them in a game, which seemed like designed by a strong will. 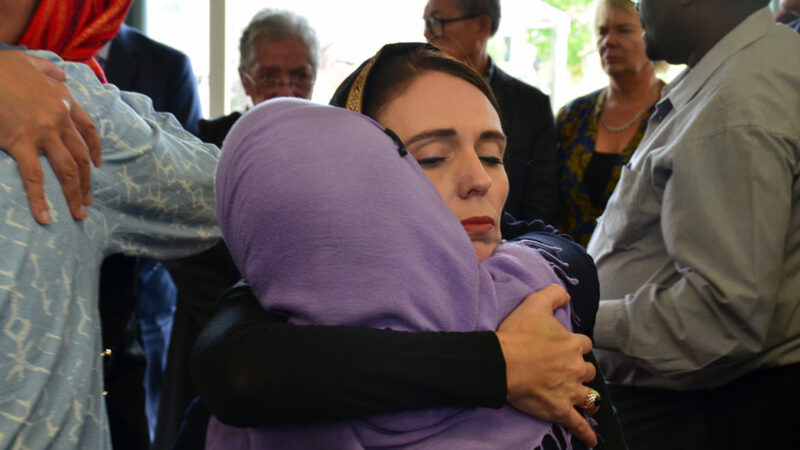 The ones who had significant responsibility in the prevention of the murder and the ones who were responsible for the murder itself went unquestioned. The most important turning point in Dink case took place with the fight between the government and Fethullah Gülen movement, which is called “FETÖ” today. Once the fight was begun, police officers who were allegedly supporters of Gülen started to be included in the investigation. With some court decisions that was made during this fight, some progress made in the prosecution process. While the prosecution process in 14th High Penal Court was going on, lawyers of Dink family applied to ECHR on the ground that prosecution was ineffective and kept prolonged. 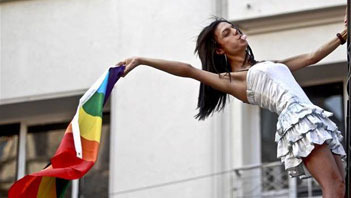 ECHR made an exception to its condition of “exhaustion of domestic remedies” and announced its decision on February 10, 2010. Convicting Turkey, ECHR stated that an effective investigation against public officials hadn’t been carried out. Thus, an important decision was made for investigating the public officials. On November 12, 2012, lawyers of Dink family applied to Constitutional Court. After 2 years, on July 17, 2014, Constitutional Court ruled that there was violation in Dink case. On May 13, 2013, Penal Chamber no. 9 of the Supreme Court reversed the judgment of 14th High Penal Court; it stated that there “is an organization” and referred the file to the domestic court. On April 2013, legal changes, which were referred as “fourth jurisdiction package”, were made, which included an important regulation that was closely related to Dink murder case. Launching investigation in cases which ECHR deemed as lacking effective investigation was made possible. After that, on July 2013, lawyers of Dink family applied to Istanbul Chief Public Prosecutor’s Office for launching investigation against officials from Trabzon Directorate of Security and Gendarmerie, Istanbul Governor’s Office and Directorate of Security. On November 28, Istanbul Governor Hüseyin Avni Mutlu refused to give permission for launching investigation against Istanbul Police Chief Celalettin Cerrah and other public officials. On January 22, 2014, District Administrative Court approved this decision. Consequently, Istanbul Chief Public Prosecutor’s Office made a decision of non-prosecution on February 21. On May 21, 2014, Bakırköy 8th High Penal Court revoked Istanbul Chief Public Prosecutor’s Office’s decision of non-prosecution. 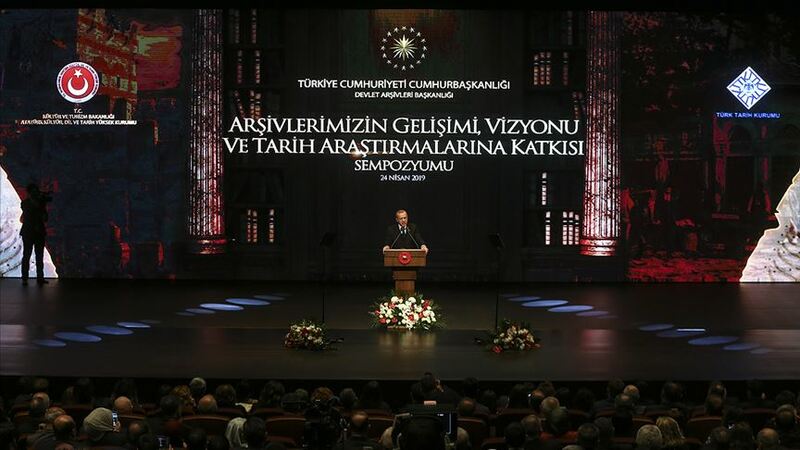 The Court pointed out the ECHR decision and the legal change in the fourth jurisdiction package. Then, Istanbul Chief Public Prosecutor’s Office applied to Ministry of Justice on June 4 for reversing the decision for the “public weal”. The Ministry refused prosecutor’s demand. Thus, the time of appearing in the court had come for the public officials, who had been protected for years. After the court decision, Istanbul Chief Public Prosecutor’s Office restarted to deal with Dink case, in which there wasn’t any substantial progress for years. 7 years after the murder, on January 13, 2015, Muhittin Zenit and Özkan Mumcu, police officers from Trabzon Intelligence Branch, were arrested as part of the investigation. On January 18, Ercan Demir, another police officer from Trabzon Intelligence Branch, was arrested. On March 6, chief of General Directorate of Security Intelligence Branch Ramazan Akyürek was arrested. On May 28, director of Office C of the General Directorate of Security Intelligence Branch Ali Fuat Yılmazer was arrested. On October 22, investigating prosecutor Gökalp Kökçü sent the indictment to the court, which included Istanbul Police Chief Celalettin Cerrah, Istanbul Intelligence Branch Chief Ahmet İlhan Güler, chief of General Directorate of Security Intelligence Branch Engin Dinç and Ramazan Akyürek as suspects. Such developments had never been seen before in the legal history of Turkey. On the same day, the indictment was returned due to technical reasons. On October 25, Kökçü resent the indictment to the court. Technically, the indictment had to be sent to chief public prosecutor’s office, which returned the indictment to Kökçü on November 3 on the ground that there was no sufficient evidence for showing the causal connection between “willful murder” and the suspects. Prosecutor Kökçü added another name to the indictment and resent it to the court on November 4. It was claimed that the indictment was returned, because it included Ahmet İlhan Güler and Celalettin Cerrah. The indictment was accepted by the court thanks to the insistence of the prosecutor, but it turned out that, in addition to FETÖ, there are some other issues in the case that state doesn’t want to be revealed. While Kökçü was conducting the investigation against gendarmerie officials, he was taken off the case. On February 2012, MİT undersecretary Hakan Fidan was called to testify and thus the fight between the government and Fethullah Gülen circle was revealed. Dink murder investigation was one the fields where the fight was felt very intensely. The investigation file, which had been prevented from proceeding for years, started to stir suddenly. Prosecutor Kökçü, in the indictment concerning the negligence of public officials, claimed that FETÖ (Fethullah Gülen Movement, which was started to be called FETÖ after Erdoğan used this abbreviation) knew all the details of the murder from the beginning and defined the assassination as “the murder that was made happen”. As the investigation got deeper, gendarmerie officials’ hand in the murder was started to be revealed. 9 years after the murder, footage that shows some gendarmerie officials was accompanying hitman Ogün Samast on the day of murder was revealed. On November 2015, evidences showing that gendarmerie officials was in the crime scene was included in prosecution file. However, no one was detained or called to testify. After the coup attempt on July 15, Dink murder investigation was taken to another level. Prosecutor Gökalp Kökçü was reassigned to the case. Now, he had a stronger hand. He also became the prosecutor in many investigations concerning the coup attempt. An operation against gendarmerie was launched, because some gendarmerie officials who are mentioned in Dink murder investigation had been caught in the act during the coup attempt. After the coup attempt, more than 30 soldiers had been detained and 15 soldiers had been arrested on the ground that they have a hand in the murder of Hrant Dink. In the investigation against gendarmerie personnel, no lawsuit is launched yet. However, Dink murder is referred in the indictments that have been issued as part of the coup investigations. The indictments concerning the attempted coup acknowledge the murder of Hrant Dink as “the first armed attack of FETÖ on the way to the coup”. Before the coup attempt, the investigating prosecutor of Dink case was claiming that the murder was “used as a tool”. It was pointed out that the murder was committed for the purpose of facilitating the actions of the armed terrorist organization. The definition of the murder was changed after July 15. Lawyers of Dink family, who don’t regard the process leading to murder and the murder itself as separate cases, are acting with deliberation concerning claims about FETÖ. 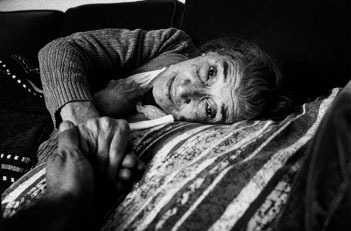 Lawyers have been noting that the statement of the General Staff after Dink's story on Sabiha Gökçen, Dink’s being threatened in governor’s office and attacks against Dink in the courthouse are related to the murder; stating that many persons and institutions became partners in the murder, they call the assassination a “consensus murder”. Lawyers also note that the ones who are related to FETÖ had played important parts in the murder, but they prefer to make substantial comments after they have seen the indictment and evidences. It has been 10 years since the murder. It is still unknown who gave order for murder. Trials concerning FETÖ and coup attempt have just started. It is unknown how deep the claims about the relation between FETÖ and Dink murder will go. And interventions to the legal process cause concerns. Judges of the court that deals with Dink case was changed. One of the newly-assigned judges was detained as part of FETÖ investigation. And the chief judge who had been conducting the legal process from the beginning was taken off the case and reassigned to another court. With the changes in the political atmosphere, many issues related to Dink murder have been revealed after 10 years. However, a different political atmosphere had obfuscated the same evidences for 10 years. We only managed to take a few steps toward justice in 10 years. However, we don’t know how many years it will take to have the whole truth. Dink murder case may still get lost in the dark tunnels of Ankara; this is still a possibilty. For now, we are concernedly watching how far the fractures caused by the political fights will go.